A Hamster Or A Gerbil? A Hamster Or A Rat? A Hamster Or A Mouse? A Hamster Or A Guinea Pig? Hamsters are excellent pets for thousands of people all over the world. They are surprisingly characterful individuals capable of developing strong bonds with their owners. 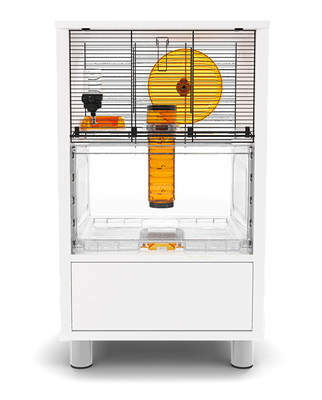 Hamsters are relatively easy to look after, but they're not for young children, and even if the child is over the age of ten or eleven, parents need to bear in mind that they will always need to be involved to make sure that this little being is looked after properly. 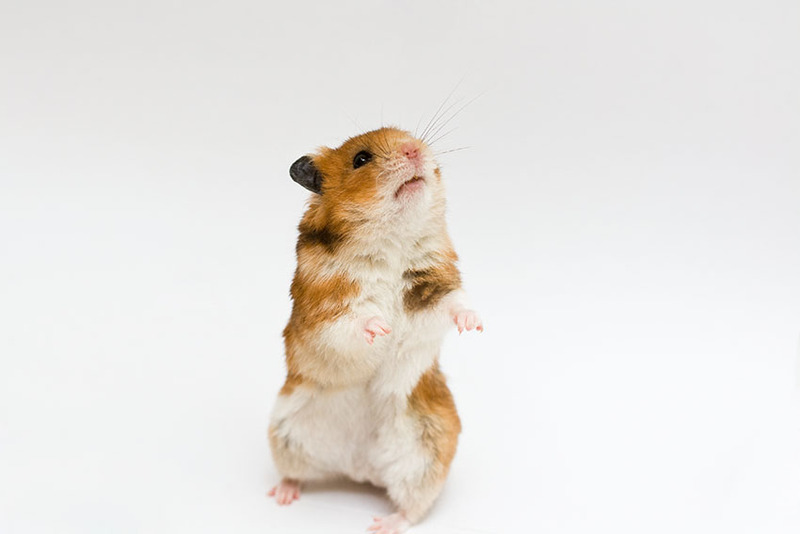 Hamsters can be very affectionate pets and are fun companions for all the family, but there are some things to consider before you commit to keeping a live animal. Firstly, everyone involved will want to be committed to having the pet before you all collectively take the plunge. 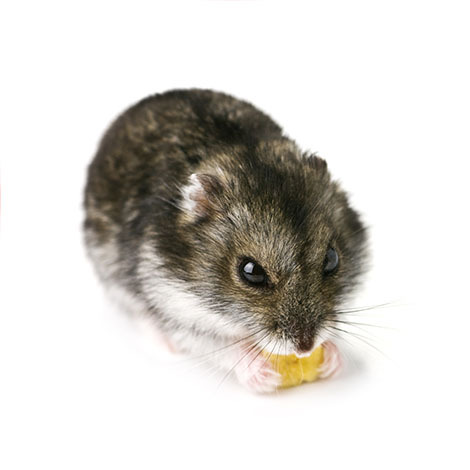 Although they take up little space, hamsters need daily care and require cleaning out on a regular basis. 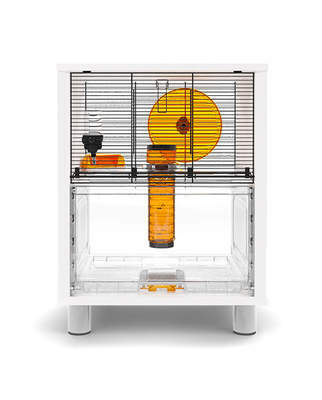 Fortunately, with more modern cages like our Qute, this process takes as little as one minute. Secondly, you’ll want to consider the fact that hamsters are actually nocturnal animals. Although some can acclimatise to getting up in the late afternoon or early evening, they shouldn’t be woken during the day, as this can be very stressful and upsetting for them.This means that if the pet is intended for a child, then their sleep cycles may be out of sync, severely limiting interaction time. Hamsters are better suited towards people who are perhaps up a little later, so they can properly bond and play with their pet. 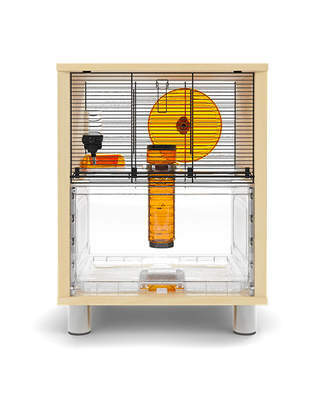 This interaction is important for both parties - hamsters are unusually dependent on their owners for entertainment and companionship if, as many need to be, they are kept on their own. Thirdly, hamsters will need to be tamed. They need to become used to being around and being handled by humans. 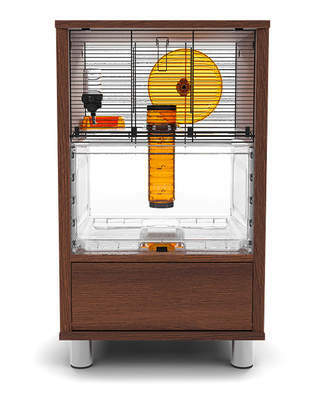 Depending on what species of hamster you choose, this can be a quick or a lengthy process.